I think I call it a day mate! 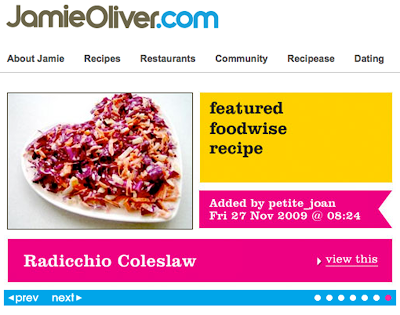 It was a Friday surprise to see my recipe today being featured on Food Wise section at JamieOliver.com. I am now now encouraged to concoct more recipes. Looking forward to be featured again soon. Now I am excited to cook this weekend for Christmas dinner. One down, two more to go!